Of all the possible elements that could make a restaurant noteworthy, a urinal trough is unlikely to be at the top of anybody’s list. Common considerations may include the quality of food, the atmosphere or the service. And while those items certainly apply here, too, an adolescent I-Miun Liu found sharing a giant urinal with a handful of Asian elders in the old Four Seas restaurant bathroom to be particularly memorable. “I had good times there as a kid with my family. The bar was always full. I could never go in because it was 21-and-over, but I was still fascinated by the space itself. I was very serious back then,” jokes Liu. 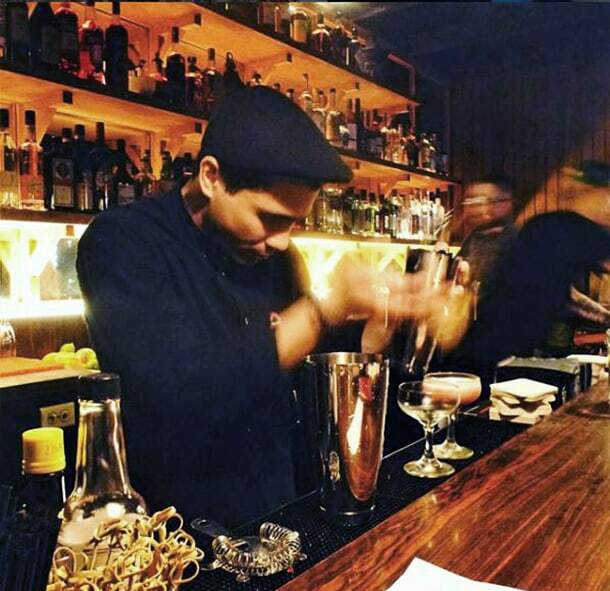 Years later, an adult Liu is breathing new life into the now-defunct Four Seas with his new restaurant: Dynasty Room. 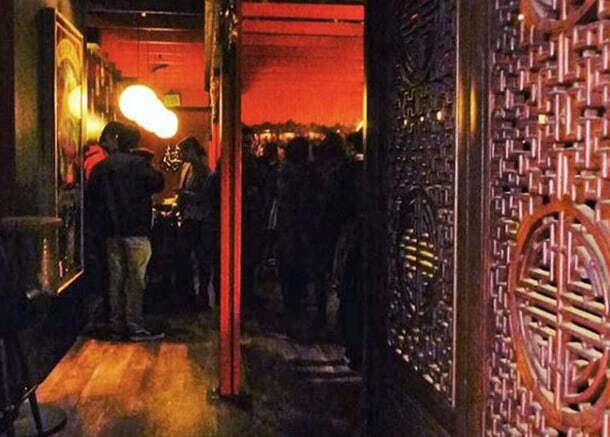 Named after the dimly lit bar in the back of the original, Dynasty Room opened earlier this month in the Chinatown-International District (CID), serving a rotating menu of Korean and Chinese street food and tea-infused craft cocktails. Liu owns several other beloved local businesses including Oasis Tea Zone, a bubble tea shop with locations all over the city, and the Eastern Café in the CID. The Chan family, the former Four Seas proprietors, announced last year they were closing to make way for an affordable housing mixed-use project, a partnership with the InterIm Community Development Association. When Liu was approached to activate the space for a last hurrah before the site’s demolition in 2019, he wasn’t sure how it would all pencil out. People often ask Liu why he’d put in so much effort to open a restaurant that’s scheduled for leveling next year. He answers that it’s an opportunity for creativity, the challenge of putting a twist on tradition like he’s done with his other businesses. For many years, Four Seas was a popular dim sum restaurant and institution in the CID neighborhood. Judge Dean Lum, a former Four Seas employee whose father owned the restaurant from 1962 until 1989, told Northwest Asian Weekly that the place was a central hub for politicians, professional athletes, and on several occasions, A-list celebrities like Danny Kaye, John Wayne and Mickey Rooney. To respect this impressive legacy, bringing the Dynasty Room to life required a team of highly ambitious creatives. Architecture firm Board & Vellum, artist-powered design studio Electric Coffin, and former Ba Bar manager Michael Chu, who now manages Dynasty Room, were all brought on to help create a restaurant, yes, but also an unforgettable dining experience. They figured if it was going to be torn down in a year, why not go all out? Though they’ve added newer elements to the space – a fog machine and projectors – maintaining the building’s integrity and enhancing its traditional Asian fixtures remained central to the project. In the front entryway, an impressive cardboard structure, the “Wolf Temple”, sets the tone for the entire backroom. It also features a small gift shop, an homage to the traditional variety stores in the CID like Sun May Co. This is an important inclusion. Dynasty Room owes a lot to its locale, explains Liu. Opening a business like this in a different location, say, in the rapidly developing South Lake Union area would be a completely different story. Some social media naysayers have accused Liu and his team of gentrifying the old Four Seas building, but Liu says that’s inaccurate. He has never opened a business that forced someone else out. All locations were either previously abandoned or used as private administrative offices, which he then opened to the public. Plus, he adds, it wouldn’t be possible for him to re-create exactly what made the original Four Seas so special. “This wasn’t a thoughtless project to mess around with an iconic business. There were hours of conversations around race, pricing and gentrification. We wanted to create a space that was multiuse, that could really involve the rest of the community,” says Liu. Dynasty Room will host events, movie nights and feature local artists. In Liu’s mind, a restaurant is representative of its neighborhood, and therefore, is responsible for keeping its storefront clean, supporting local organizations and creating a positive environment for its patrons. It is not about turning a profit only to run off. One person recently said they’d never pay for a $6 cocktail in that part of town. Liu found this insulting. He’s hoping to challenge false perceptions that Asian food is always cheap, that the service is always bad, and that the shops are always dirty. “For the short time its here, I hope people come and see the neighborhood, recall their fond memories of Four Seas in a different light, and at the end of the day, I hope it showcases a different side of the CID. That’s the important part,” he says. So come for the chicken gizzards, the jajangmyeon noodles and the lychee craft cocktails. Or, at the very least, come through to see the infamous urinal trough in all of its glory just as you remember it.